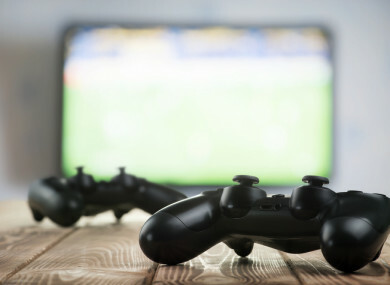 LONG AFTER YOU may have paid for a copy and left the shop, video games can still cost you money, and the Dáil has heard that some practices of buying items in video games constitute a form of gambling that children are being exposed to. In-game purchases and downloadable content that supplement the actual game can all come at a cost in popular games such as FIFA, Grand Theft Auto and Call of Duty. In the case of the football series FIFA, players can attempt to spend money in order to purchase better players in the Ultimate Team mode. The chance of having a Ronaldo or a Messi for your team can be relatively slim by playing through it the normal way, but your chance of getting them can increase when you pay for it. These are referred to as loot boxes – you can spend money or use points earned in the game to acquire them – where you’re taking a punt hoping you’re acquiring top quality features for the video game. But for every Messi you get by paying money to purchase a loot box – or Ultimate Team pack as they’re called in FIFA – there are dozens of Adam Lallanas and Alvaro Moratas (i.e. players not rated as highly). So-called game microtransactions – where you’re paying for more content for a game you’ve already bought – have hit the headlines for the wrong reasons before. Games Giant EA was forced to back down in November 2017, after a backlash over its policy for a Star Wars game which would have seen players either pay extra money, or put in a massive time investment, to unlock characters such as Luke Skywalker and Darth Vader. In the Dáil last week, Fine Gael TD Martin Heydon asked Minister of State at the Department of Justice David Stanton where the department stood on these loot boxes. “Are they considered a form of gambling or an e-commerce activity?” he asked. For the Irish State to look upon such activity as gambling, it must fall under the legal definition of what gambling is. The minister also said a recent statement by the Gaming Regulators European Forum expressed concerns that certain products within video games may constitute as gambling under national laws in various EU countries. Heydon went on to compare loot boxes in another popular video game to a well-known Irish TV game show. “In popular games such as Overwatch where if one purchases a loot box, the box starts shaking on the screen and there are flying discs and a final reveal, and it is all designed to heighten the appeal,” he said. It is very much like watching an episode of Winning Streak. Stanton said that parents have primary responsibility to protect their children from what happens online, but Heydon retorted that many children play video games outside of their parents’ control. Haydon also said: “Countries such as Belgium, the Netherlands, the Isle of Man, China, Japan and Australia have treated loot boxes and mystery boxes as a form of gambling. Regulators are investigating the matter in 15 other areas, one of which is the US Federal Trade Commission, which is investigating pay-to-win and gameplay systems. Heydon added that while it was primarily a health issue, the Department of Justice should also step up and take the lead to legislate on the issue. The minister admitted that the matter was important because “children are possibly being groomed by using the games before progressing to gambling”. With work long-awaited gambling legislation still in the works, he indicated provision for video games may be included in future laws. “The Deputy is correct that the matter is changing by the week,” Stanton said. Every time we examine it, there is a new game, approach or way of making money and enticing people to get involved, which is why I am anxious that the gambling control authority be established as soon as possible with the flexibility to keep up with the industry. Email “'Like an episode of Winning Streak': Video game loot boxes exposing children to gambling, Dáil hears”. Feedback on “'Like an episode of Winning Streak': Video game loot boxes exposing children to gambling, Dáil hears”.